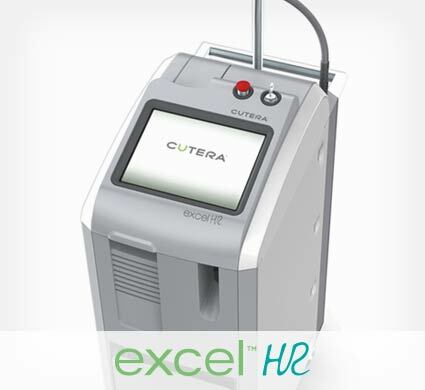 excel HR combines a high-power 755 nm Alexandrite laser and Cutera’s proven long-pulse 1064 nm Nd:YAG laser for high-volume hair removal on all skin types. 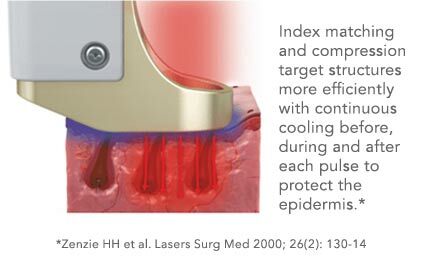 The combination of wavelengths not only allows for effective hair removal but is also a solution for epidermal pigmented lesions, vascular lesions and Cutera’s signature laser genesis skin revitalization procedure. The 1064 nm Nd:YAG is the most reliable wavelength for permanent hair reduction on darker skin types and tanned skin. By selecting the appropriate spot size, this laser can also be used for treating facial and leg veins and perform laser genesis procedure. 1Transparency Market Research (TMR), Oct 2017. 2Zenzie HH et al. Lasers Surg Med 2000; 26(2): 130-14. 3Data on file.